Shorecaster Joel "J-Boy" Baptista waited patiently for his first ulua and when he finally caught it, it was a dream come true. His first ulua was caught on Good Friday, the day before his birthday. 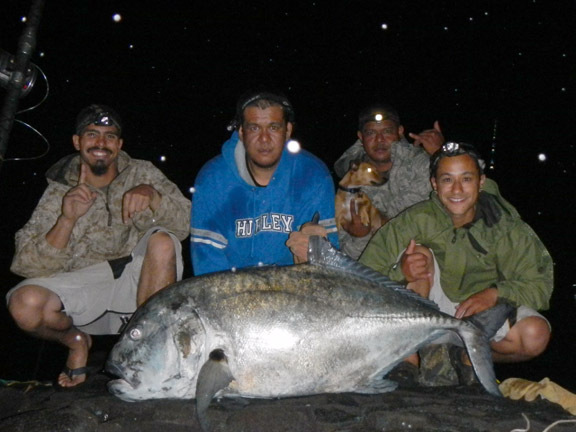 It was also the ultimate shorecaster's catch, a 100-plus-lb ulua! J-Boy manhandled his fish using a 13-foot Shimano Tallus pole, Newell G454 reel and 80-lb test Berkley Trilene.